Picking out a perfect tree isn't all about looks—the tree's scent, strength of branches, and needle retention all matter, too. So before you head to the tree farm or lot to select yours, learn which evergreens make best Christmas tree types and why. Q: Every year, I look forward to picking out the Christmas tree with my family. In years past when we lived in New York City (and had to carry the tree home to our apartment), we generally went to the closest tree stand and picked from what was there—the tree species never mattered much. Now that we have a car, there are more choices. So, which are the best types of Christmas trees? A: There are so many types of evergreens: firs, pines, spruces, and more. It’s no wonder you’re feeling overwhelmed! 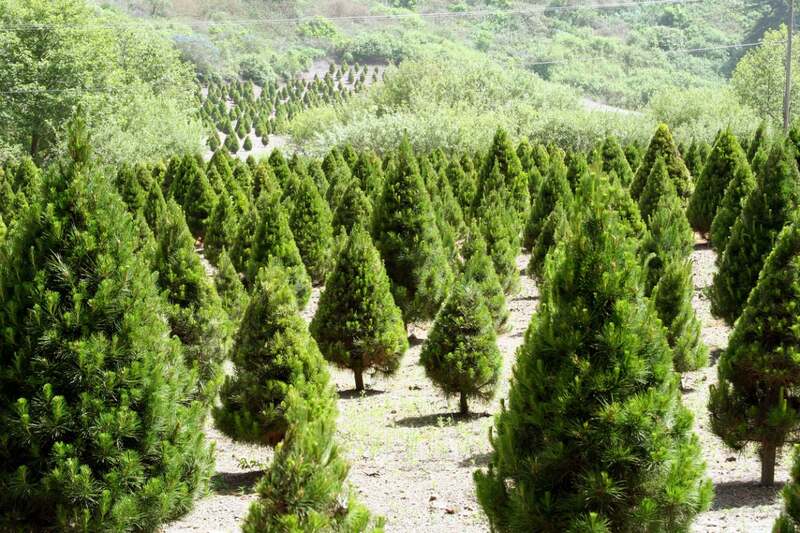 Luckily, these five species represent some of the best Christmas tree types sold in the US. Ahead, you’ll find an option that has just the scent, shape, color palette you’re looking for. 1. The Douglas fir is one of the most common Christmas tree types sold in the US. 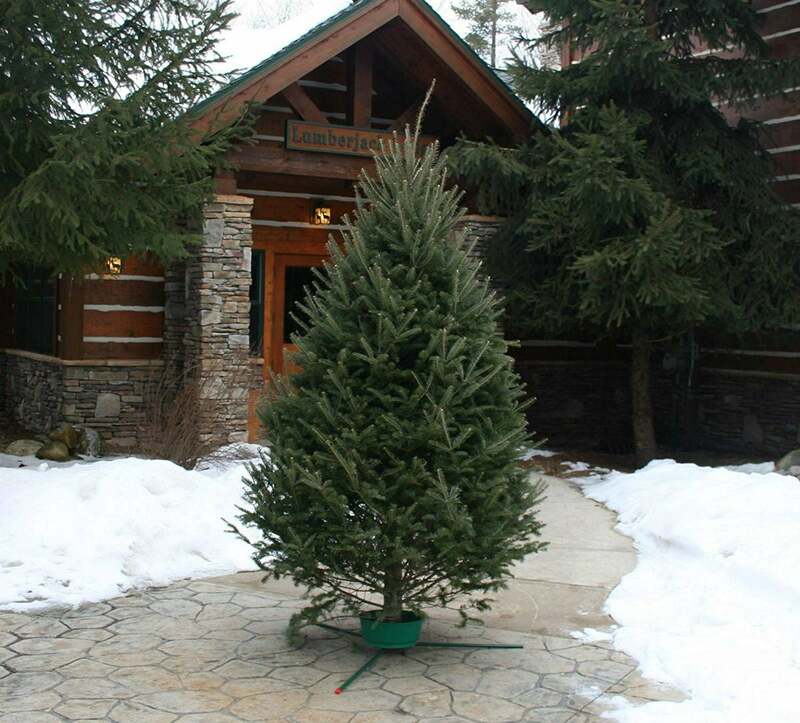 This evergreen is a staple in most Christmas tree lots, loved for its full pyramid-like shape and long-lasting needles. The soft, shiny needles that grow on all sides of its branches, making it appear even fuller! But if the branches have been sheared, it can become too dense and difficult to decorate. For the subtly sweet aroma alone, this evergreen is worth considering. 2. The balsam fir boasts a symmetrical shape and fresh scent—one often used in seasonal candles. 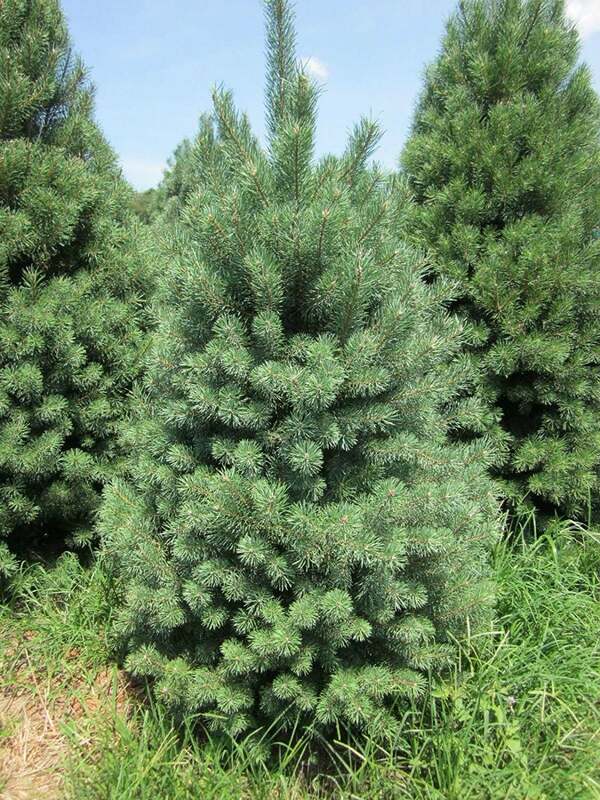 This evergreen’s two-toned needles are dark green on top, silver underneath. Like many firs, they’re likely to retain their needles for four weeks, so the balsam fir could be your best bet if you’re one to put your tree up the week after Thanksgiving. When it comes time to decorate, be aware that balsam fir trees have soft, flexible branches—not the best choice for heavier ornaments. You might stick to lightweight DIY ornaments, paper chains, popcorn strands, tinsel, ribbons, or simple twinkling lights. Available at Lowe’s and on Amazon. 3. Fraser fir is another tree that smells like Christmas. Yes, “Fraser fir” is another name you might recognize as a scent often captured by wintry candles. 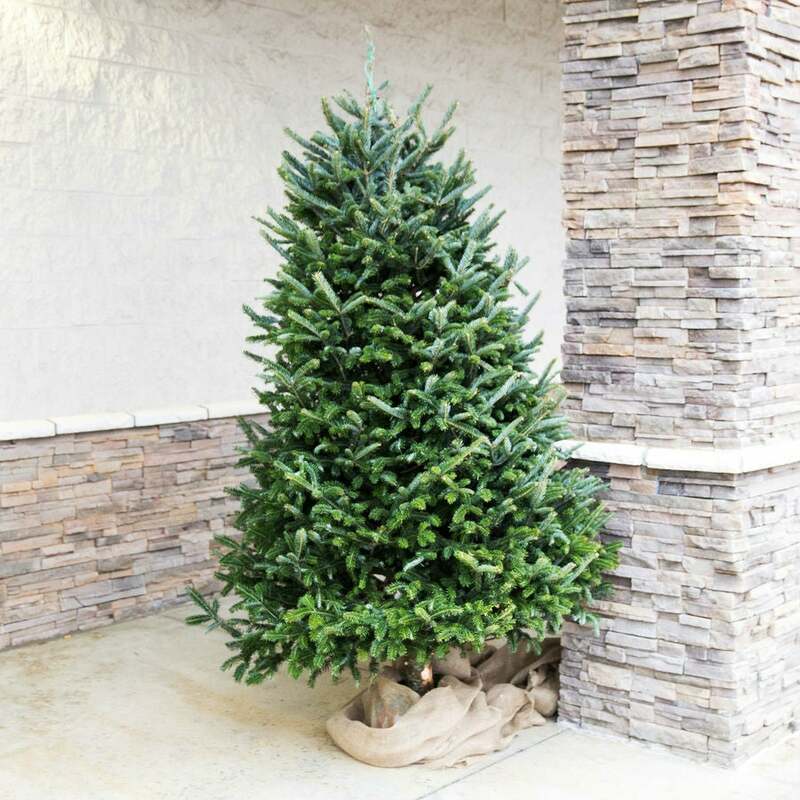 The real McCoy has even more to offer: Fraser firs take a delightfully full pyramidal shape, with sturdy branches fit to support heavier ornaments—not to mention, room enough between branches to hang bigger bulbs in the first place. Their needles are a dark blue-green in color, about 1-inch long, and softer than many other evergreens. You can expect them to hang around even after cutting, assuming the tree is well-watered. 4. Scotch pine will keep its needles, even after becoming dry. If you need a long-lasting tree, look no further: The Scotch pine will retain its good looks and needles even if its water dries up while you’re visiting family for part of the holidays. (And a tree that holds its needles is not only good-looking but mess-free!) These needles range from 1 to 3 inches in length and from bright to dark green in color. Plus, its branches are sturdy and suitable for ornaments of all weights and sizes. But those needles are sharp, though, so beware while decorating! 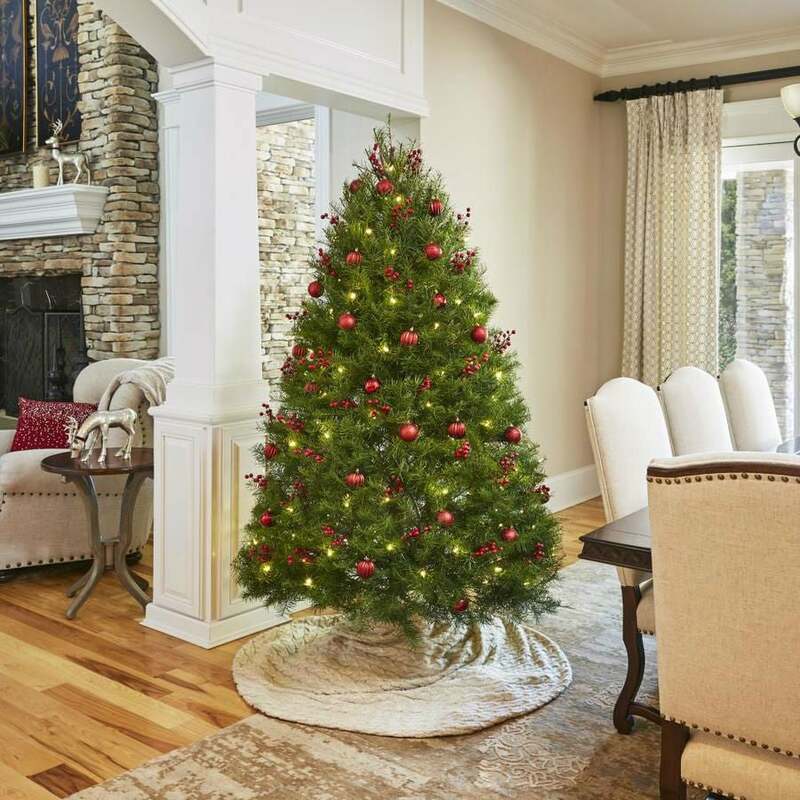 These types of Christmas trees are often sheared to create a full, dense shape, but this does mean the branches may be very close together—another challenge when hanging ornaments. Available at Lowe’s and on Amazon as seeds to grow your own for next season. 5. 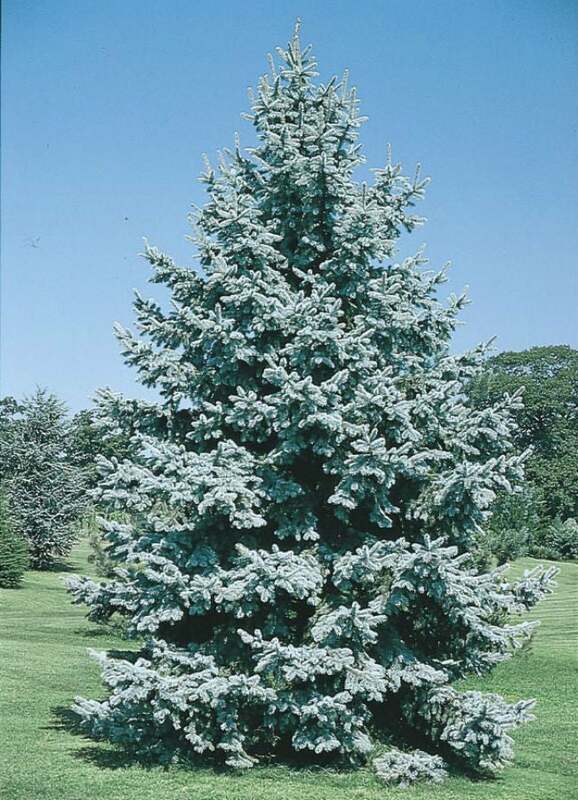 The Colorado blue spruce is so named for its strikingly icy color. If you’re one who likes to play with your holiday color scheme, consider the bluish-silver and bluish-white tones in the branches of a Colorado blue spruce. It has a nice pyramid shape with strong branches that can hold heavy ornaments. Take care not to crush the needles too much when decorating, however, because the tree’s resin emits a less-than-pleasant odor. And, because it’s often sold as a living tree, it can be planted outside after the holidays. When cut, it’ll hold its needles well as long as you’re adamant about refilling its water reservoir. Whatever coniferous variety you choose for your Christmas tree, make sure to give it a fresh cut at its base (at least 1 inch off the bottom) before placing in a stand. Give it water immediately and regularly, and follow these additional tips to ensure that it lasts a full four weeks—maybe even five! With any luck, you’ll still be enjoying your tree as you ring in the New Year. With additional reporting from Kathleen Corlett.